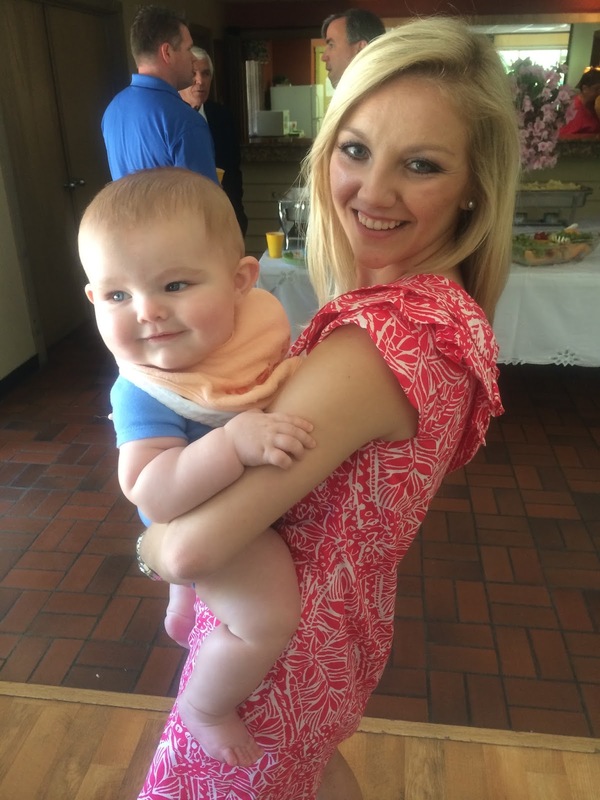 With starting a new job, traveling to Washington DC, and being a Matron of Honor this week, my sweet friend Emily had to postpone sharing her amazing travel guide until another week (who can blame her?)! However, McKeller quickly stepped in and agreed to do another fashion post since everyone loved her last one! I am so thankful to already be back on Wonderfully Wolf! I don’t know about you but I LOVE this blog (it may be that Courtney is a fantastic writer and is totally stunning). I have absolutely adored seeing your pictures from my first post about my favorite summer go-to color combo. Thank you so much for sending me so much love! For this post, I am staying clear of all neutrals and showing my true colors! 50 years after "it all started with a juicestand," I cannot even begin to explain my slight obsession with the Lilly Pulitzer brand. There are so many reasons I love this brand from the different styles of dresses to the Lilly community, to always feeling like a little ray of sunshine while wearing the clothes (I just can’t get over how bright and fun this clothing line is)! The brand pushes the limits of fashion while using cute innuendos like “Toucan Play,” “Keep it Current,” and “Shell me About It” for different pattern names. 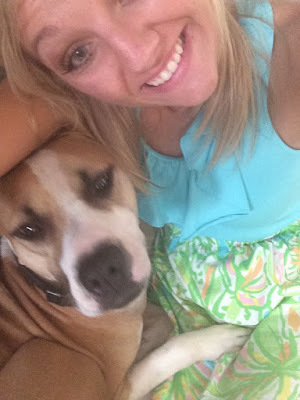 Sweet Barker loves my Lilly dress! This was also a dress Courtney wore at her bachelorette party! I know you’re probably thinking, “yea, Lilly is cute but it’s also so expensive!” Let me tell you my secrets! As a graduate school student (Go Pirates!! ), I am on a tight budget that does not allow me to buy many full-priced Lilly items. So, much of my collection comes from hand-me-downs, consignment stores, and SALES! Websites such as 6pm always have some sale items and the site is updated pretty regularly! There are also many groups on Facebook and Instagram solely for reselling Lilly. If you have a Belk or Dillards department store near you, you may also be able to find Lilly there. The good news? Every store usually has a sale rack of past season items! 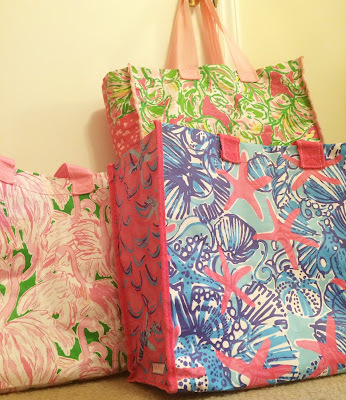 Occasionally, a large TJ Maxx or Marshall’s may have some Lilly Pulitzer but you have to REALLY keep an eye out to find it hidden amongst other brands! 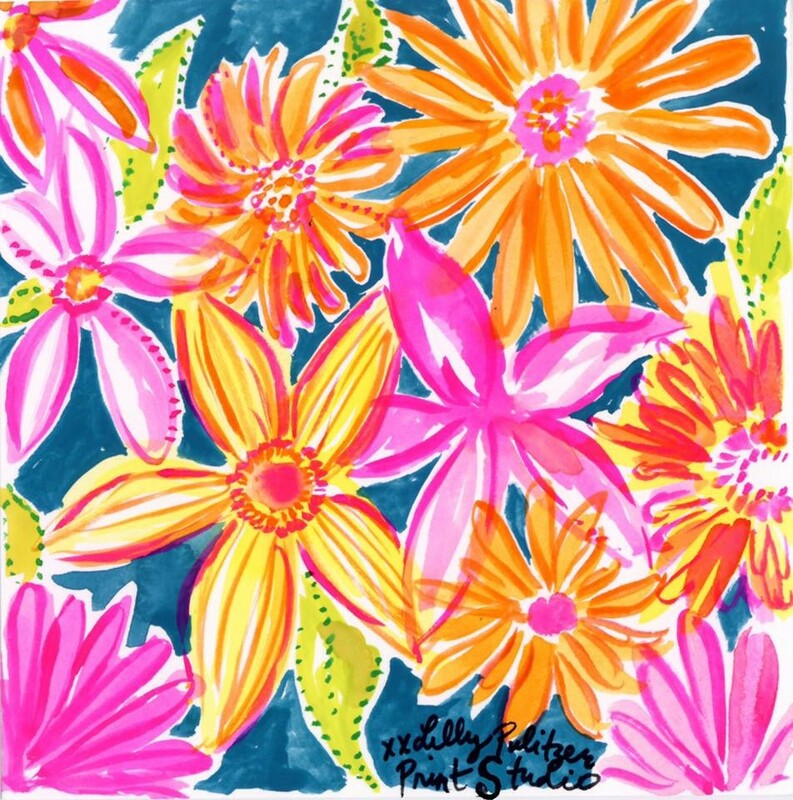 Lilly Pulitzer does not exclusively sell clothes. They also sell sunglasses, bags, coolers (which, Courtney and I both have! ), shoes, planners (in fact, my FAVORITE agenda I’ve ever used! ), scarves, tumblers, and much more! 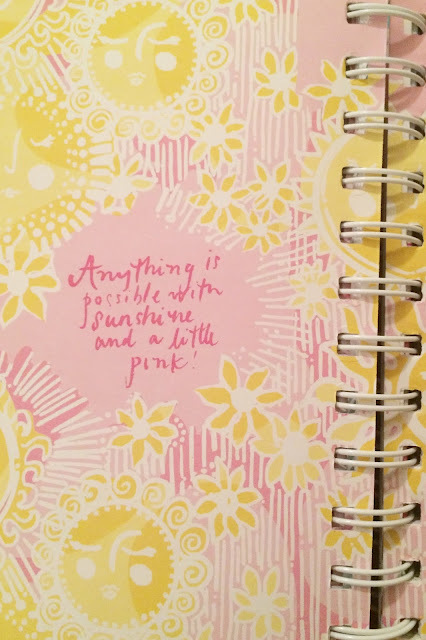 How cute is this agenda?! I love holding on to mine to use these super cute pictures for various crafts and projects (like my graduation cap)! Heather used this Lilly cooler to pack all of Courtney's bachelorette weekend presents! 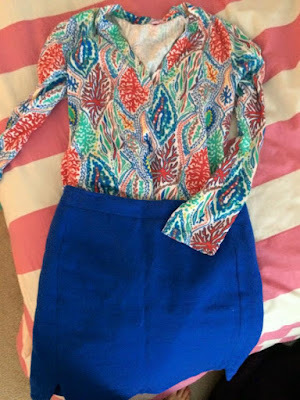 Now, for some of my favorite Lilly clothes in my closet and how I transition them for every season! I’ve had this dress in my closet since my freshman year of college (wow, that makes me feel so old to say!) and I’ve gotten a lot of wear out of it from a garden tea party to my cousin’s Christening! It's perfect for those nicer summer occasions. Isn’t he so adorable! Next is a skort that is a perfect transition between summer and fall. Pair it with a navy three-quarter sleeve shirt or the fun pale yellow blouse pictured depending on the weather! This would also look fabulous with a pair of black riding boots! This dress is three-quarter sleeve and is still bright and fun but appropriate to wear in the workplace during the fall or even a cool summer night with wedges or white shoes. Throw on a navy or emerald sweater for the chillier nights! Similar to the Marlowe pictured above, I wore this "Under the Palms" dress to an Inter-Professional Educational event in undergrad with flats and got so many compliments on it! The warm colors are also perfect for every season. Throw on a pair of your favorite tan boots and a light sweater and it's great for fall! Add in some coral accessories and navy Jack Rogers to brighten it up for spring or summer. I wore this dress again to a luau on a chilly day in April of this year and it was fabulous for the weather. I love how this dress can so easily be dressed up or down depending on the occasion. Also, how cute is my little cousin! 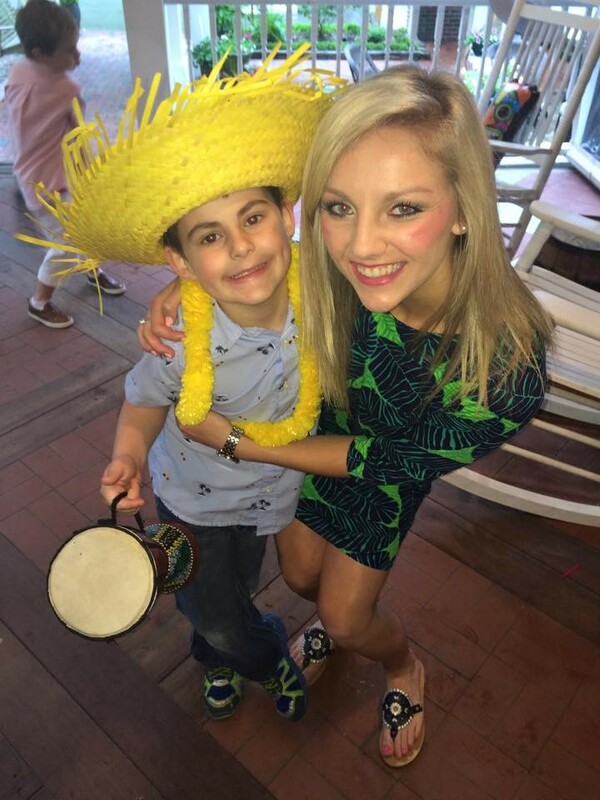 The Elsa top is a classic style of Lilly Pulitzer that is made each year in different prints. This print is stunning and looks good on anyone wanting to stand out and make a sunny statement! I’ve been known to wear mine during the winter peaking out under a pea coat or blazer and in the summer with my white shorts! This tunic is also fabulous paired with a pencil skirt or skinny jeans depending on what day of the week it is! It's also amazing because there are so many colors to pull from and play up depending on the season. I love pairing it with darker blues and greens in the fall/winter and whites or yellow in the spring/summer! I personally own SO many pairs of the Callahan shorts! They fit and are comfy, they are long enough to always be considered classy, and they are easy to pair with a t-shirt or tank and still feel dressed up! When it is a little cooler outside I put on a long sleeve cotton t-shirt or a button down shirt with a pair of these shorts and it looks so cute and effortless! Can you tell Lilly and I am loving the blues and greens this season?! 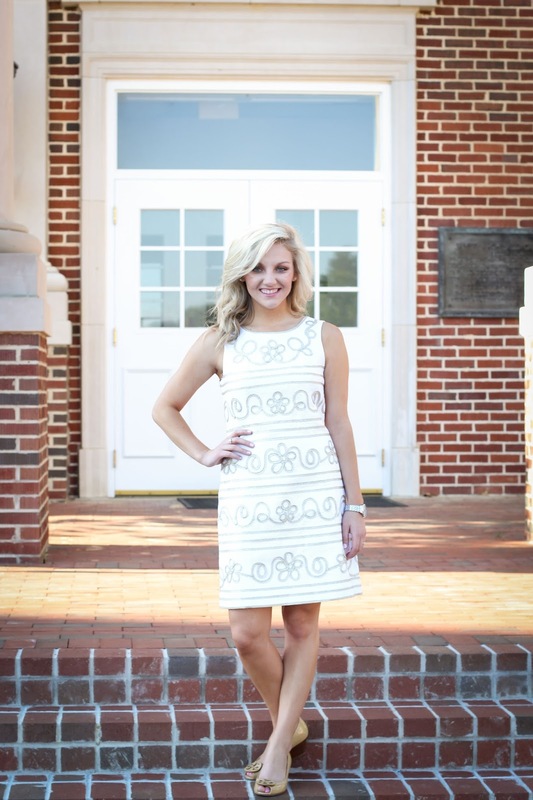 This dress is perfect for a wedding or night out on the town! It also looks fabulous when mixed with gold jewelry! This was one of our recruitment days last September! 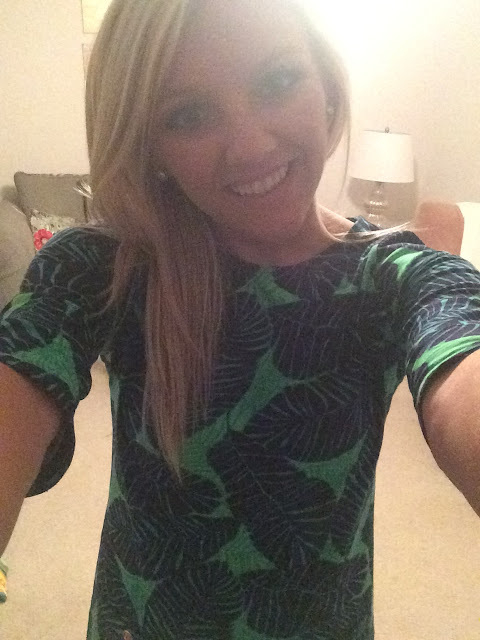 The Lilly shirt unfortunately was not made this season, however I love the tunics and how easy they are to style. I adore this one for fall! This is me with my sweet boyfriend, Will, when we went ice skating in January. I knew I would need to keep warm so I threw on a sweater and a fun Lilly scarf to liven up my outfit! Not only did the scarf look cute but it also kept me nice and cozy! (By the way, this was my first time ever ice skating and I DID NOT FALL!!) Winter is the perfect time to pull out your Lilly accessories and add a little sunshine to the dreary season. 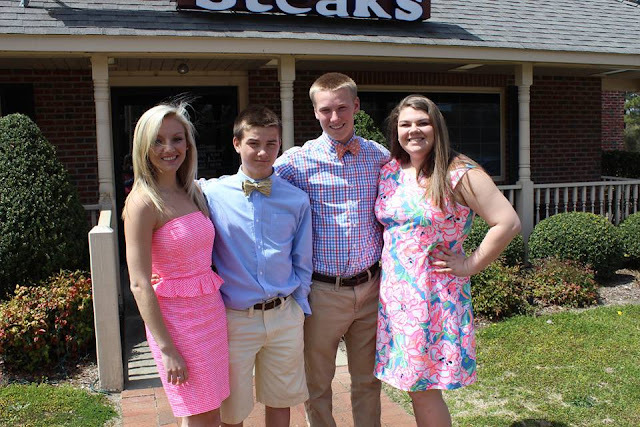 While I love wearing Lilly year round, it is no secret that Lilly is MADE for summer and spring! Here is a picture of my siblings and I (yes, I am the oldest and I realize I look like the youngest) on Easter! My sister and I both wore Lilly dresses. Here is one of my senior pictures taken by a dear friend, Taylor Davenport, in the Lilly dress I wore for my graduation. I felt beautiful in it and was so excited that day! Lastly, I have to mention these incredible beach pants! They are so soft and comfy and absolutely perfect for any summer night. 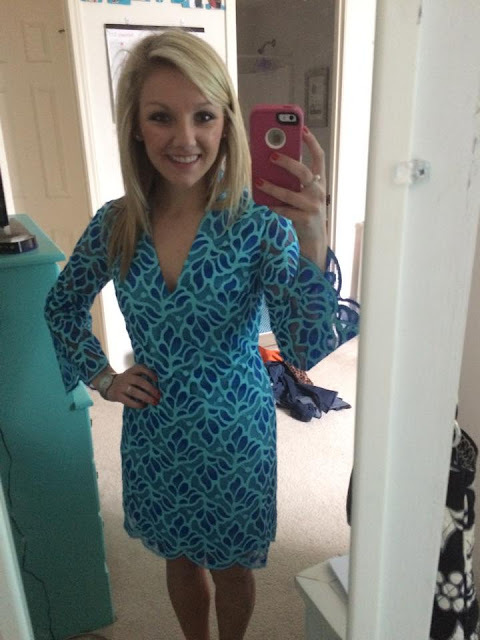 I like to wear mine while lounging around my house and Courtney wore hers for a night out to dinner on her honeymoon! So, whether you feel more comfortable in a solid cotton top with a pair of callahans or a dress that has five different colors in the print, Lilly is so easy and fun to style regardless of the season. 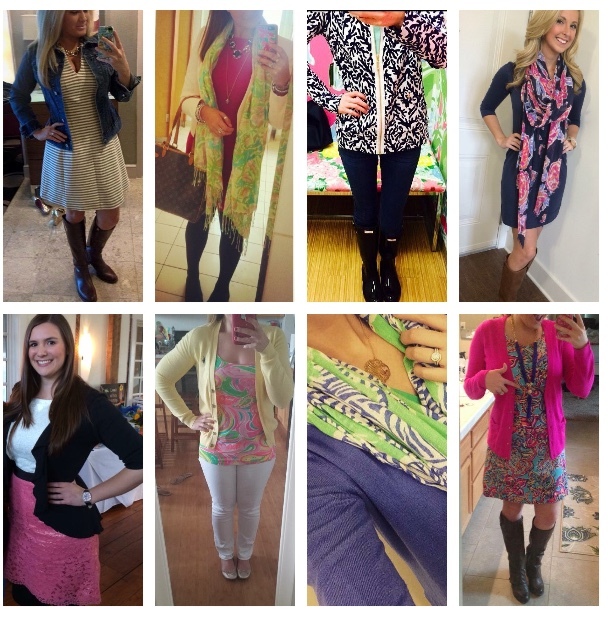 Here are some pictures of fellow Lilly lovers wearing their bright colors and patterns in chillier months! Don't they look fabulous? !